The Duke Company’s road salt & deicer barn in Rochester NY will be open until 8 p.m. EST on Friday, January 30, 2015. In preparation for continued cold weather, our team is standing by to assist customers through-out New York with a complete range of Rock Salt & Ice Control products including: rock salt, road salt, Ice Melt and Deicers and Snow Plowing Accessories. Whether your needs are to buy bulk road salt by the ton, pallets of EnvironMelt or a truckload of deicers, the Duke Company stands by its commitment to offer NY customers the best prices, fastest delivery and outstanding service. For immediate service, call 585-292-9870 (Rochester NY). 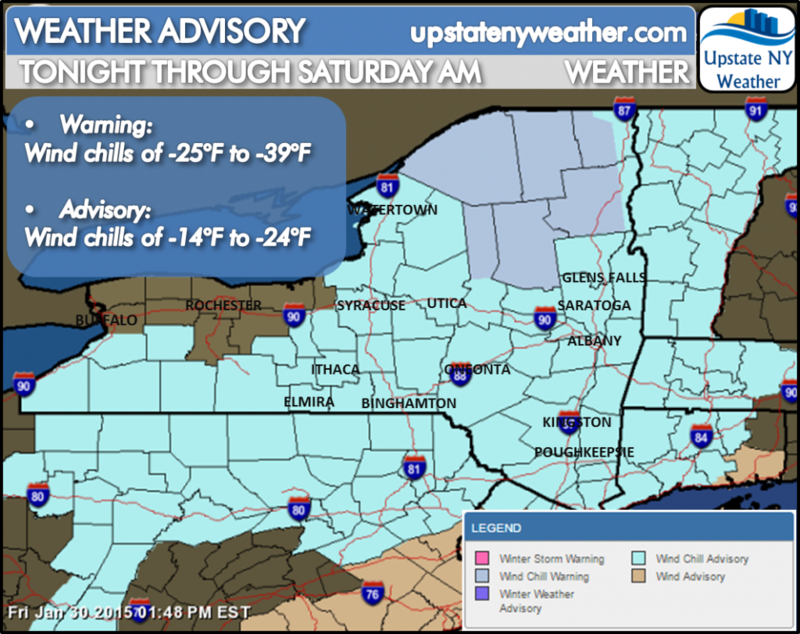 Upstate NY Weather is reporting that ‘Bitter Cold Air Mass with Dangerous Wind Chills to Settle into Region Overnight into Early Saturday‘. “The National Weather Service has issued Wind Chill Advisories and Wind Chill Warnings across the region from this evening through Saturday morning. Prolonged exposure to this cold will be dangerous and frost bite will set in quickly if precautions are not taken”, reports Upstate NY Weather. Please be safe and take necessary precautions through-out Upstate NY. Text ‘DUKESALT’ to 55469 to receive text messages regarding our hours, extended hours, schedule changes and discount opportunities. For a complete list of our Ice Control, Deicing, Bagged Salt & Snow Plowing Accessories, visit Rock Salt & Ice Control HQ.